Every type of hydraulic cylinder has its own advantages and disadvantages. Taking their different attributes into consideration will help to determine what type of hydraulic cylinder is right for your application and why. In general, telescopic cylinders are used in redesigns to improve processes or in design of mobile cylinder applications. In this post, we will look at telescopic hydraulic cylinders, their attributes, and the applications they are used in. 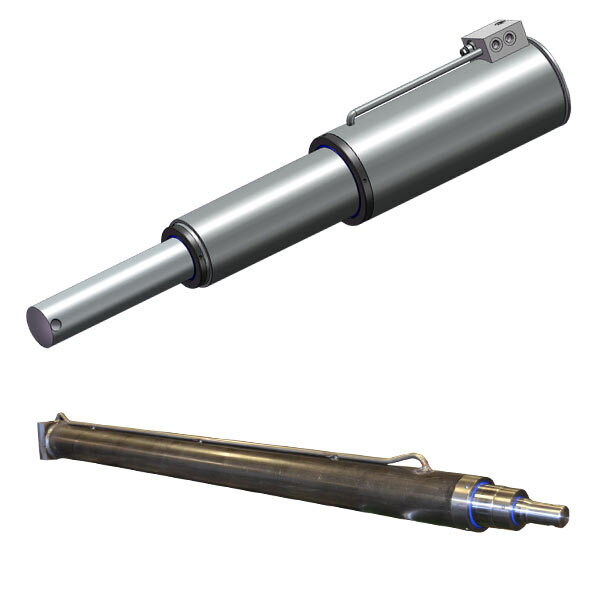 Compared to other hydraulic cylinders, telescopic cylinders do not take up much space. Additionally, they extend well beyond their collapsed length – including both directions if you’re using a double acting hydraulic cylinder. These two attributes of telescopic cylinders make them ideal for use in applications that require a long stroke but have little mounting space. An example of an application that oftentimes needs to achieve specific angles are dump trucks. The angles are incredibly important as they must be exactly right in order to release the proper amount of materials. In general, a cylinder will need to be able to prop up a bed 60 degrees in order to completely empty it. If an application does not have the benefit of gravity, double acting hydraulic cylinders are necessary. Single acting hydraulic cylinders must use gravity in order to collapse into the position they were in before they were extended. At Best Metal Products in Grand Rapids, we are a leading supplier of the highest quality, American made custom hydraulic cylinders. With over 65 years of experience manufacturing hydraulic cylinders, we have the experience and reputation you need. If you are interest in working with use, please do not hesitate to contact us today!